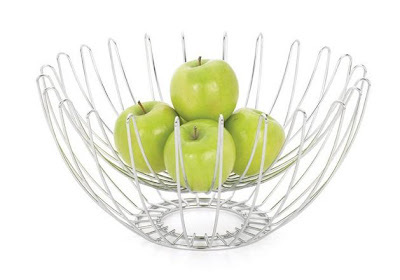 Store your favorite fruits in style with these 'Beautiful Fruit Bowls and Modern Fruit Holder Designs'. Wire Fruit Bowl: A contemporary shape chrome plated wire basket for your fruits. 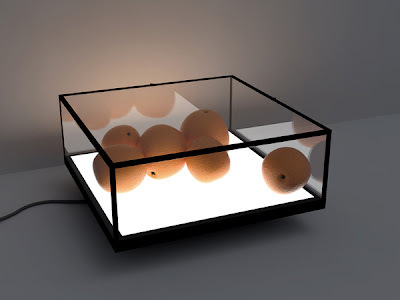 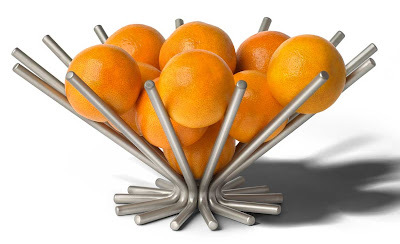 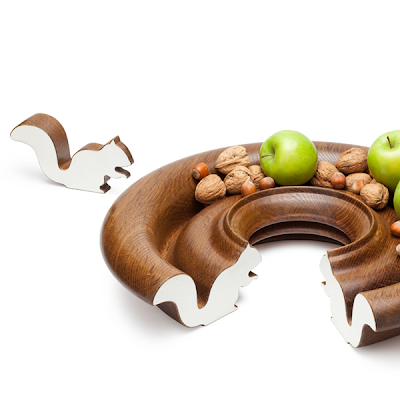 Rollercoaster Fruit Tray: Designed by Janne Kyttanen, it can hold up to 9 oranges, but then you will not see its beauty. 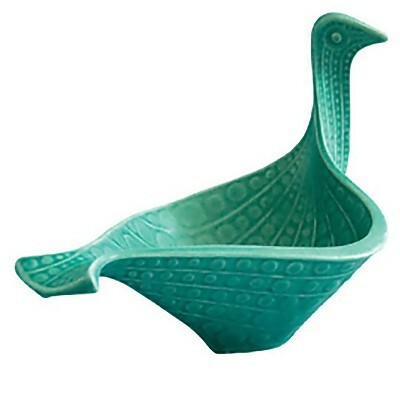 Ceramic Bird Bowl: This bird bowl is made from stoneware with a beautiful matte jade glaze. Art Fruit: It's a fruit bowl that can be used both as a display and keeps the fruit and vegetables fresh longer. 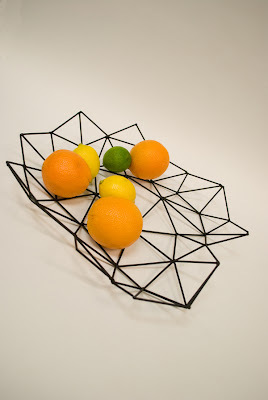 Bikechain Bowl: Made from old used bikechain, and it measures 10 in diameter. 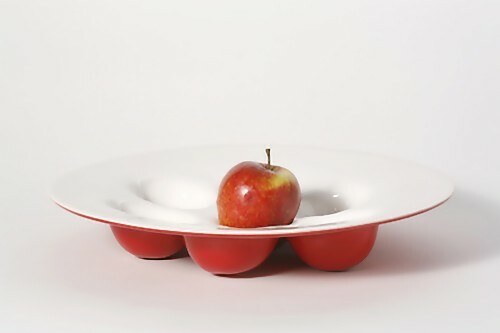 Ceramic Fruit Bowls by Siri Brekke: Made from white ceramic but the holding space is colored to match the accompanying fruit (apple or pear). 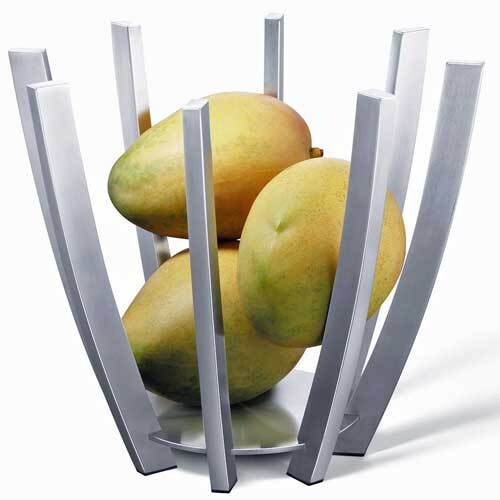 Eurostarburst Fruit Bowl: The unique designed satin nickel posts form a bowl with airflow running through to keep fruits fresh. 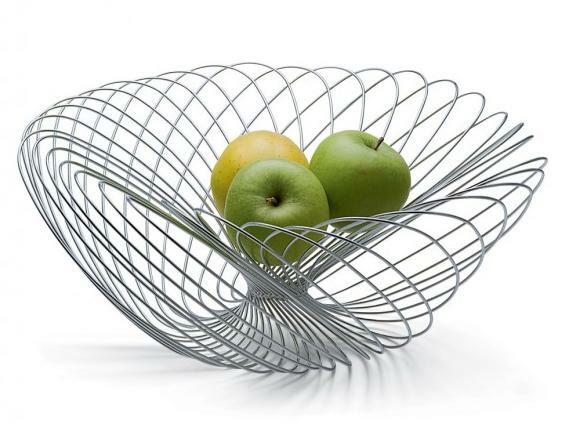 Twist Fruit Bowl: Designed by Prof. Andreas Ostwald, it's a polished stainless steel fruit bowl. 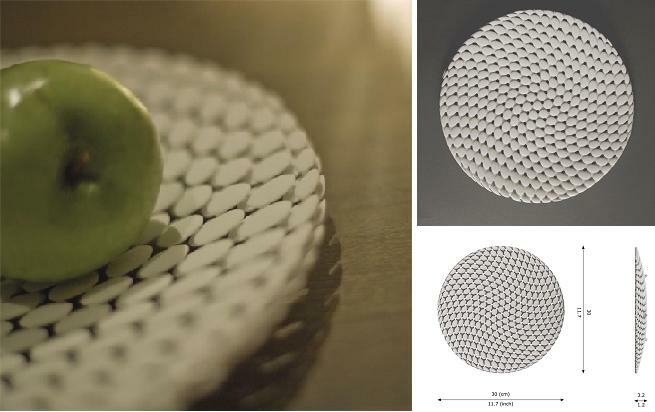 ORB Fruit Tray: This fruit tray's structure consists of many smaller orbital shapes that together creates a whole product. 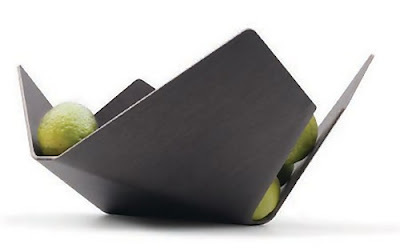 Apple Dish: This Apple Dish uses the fruits themselves as an accent color and is was created specifically to hold apples. Satura Fruit Basket: It's a stainless steel fruit basket designed by Zack. 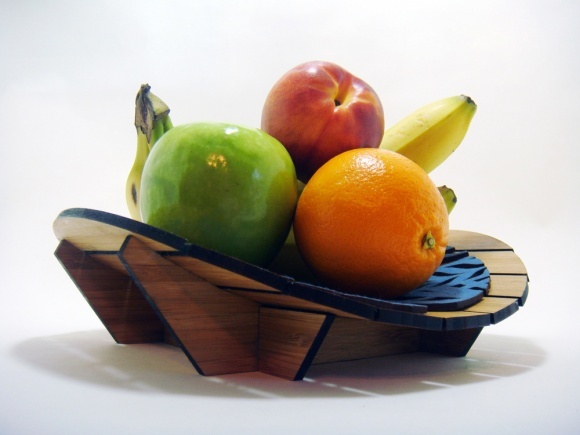 Don't miss to check out "Beautiful Fruit Bowls and Modern Fruit Holder Designs - Part: 1| 2| 3."